Just hours before the Xbox Reveal event, EA SPORTS has confirmed that NBA Live 14 will indeed be coming to the next-generation of consoles. Speaking at the Stifel Nicolaus 2013 Internet, Media and Communications Conference today, EA’s CFO Blake Jorgensen confirmed that NBA Live 14 will release on the Playstation 4 and Microsoft’s next Xbox. Over the past few days, the social media accounts for NBA Live have been suspiciously active after being dormant for quite some time. It’s thought that the very first glimpse of NBA Live 14 could be shown today, or that EA is just planning to release the first information as well. 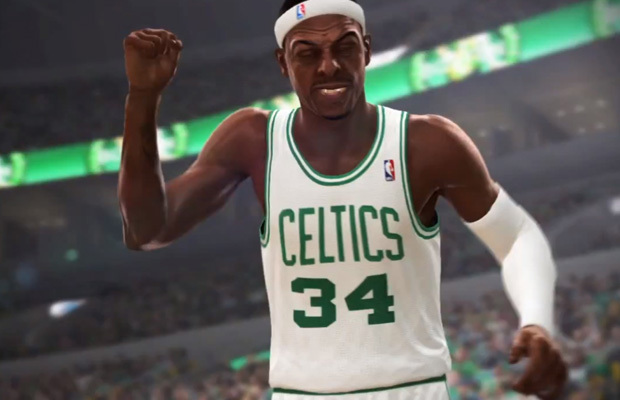 What do you want out of a next-generation basketball title from EA SPORTS? Be sure to let us know what you think by leaving us a comment below, or discuss NBA Live 14 in our community.